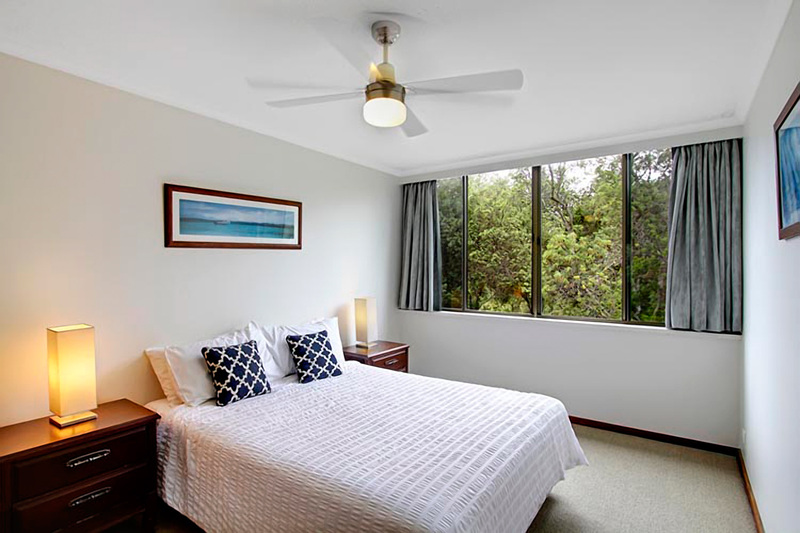 Enjoy the perfect Byron Bay beachside holiday at Pacific Blue - a 2 bedroom, 2 bathroom, second floor apartment located directly across from stunning Clarkes Beach. Sleeping 4, this breezy holiday home boasts two bedrooms, two bathrooms (one ensuite and one guest bathroom with bath) and a covered outdoor balcony. 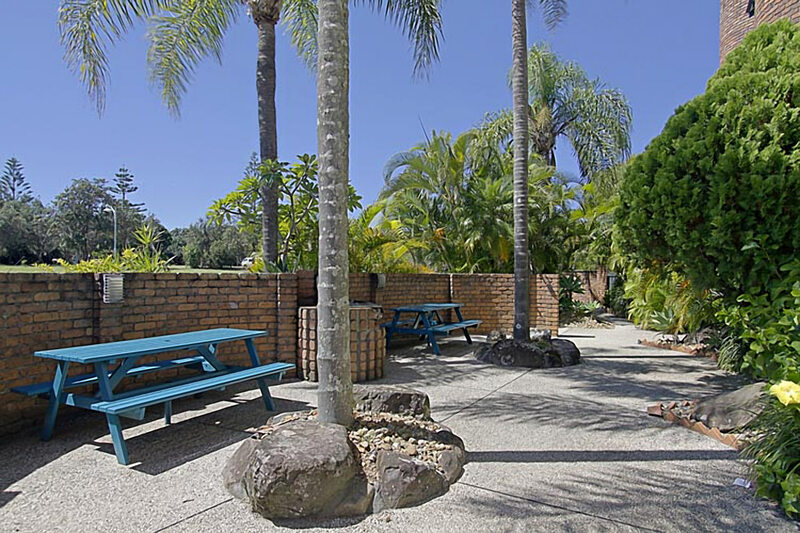 Swim in the sparkling in-ground complex pool or stroll across the park to swim at Clarkes Beach, in only seconds. 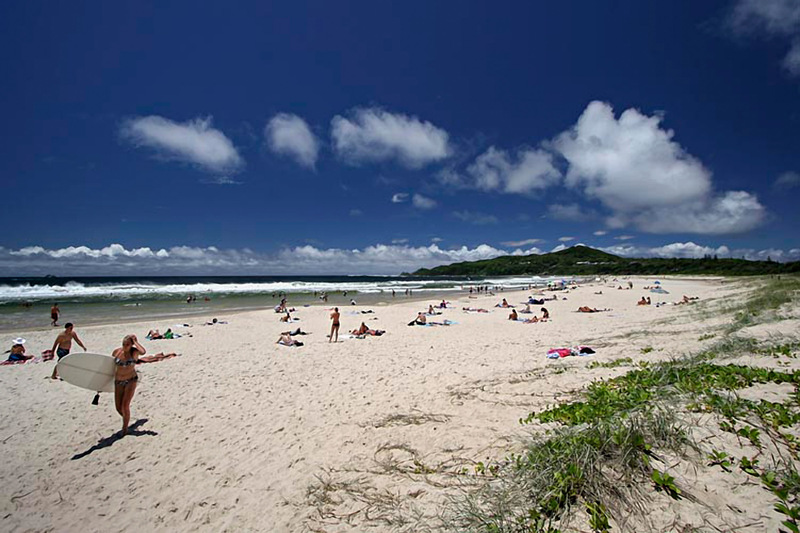 Wander 5 minutes along the stunning beachfront to arrive at Main Beach and the centre of Byron Bay. 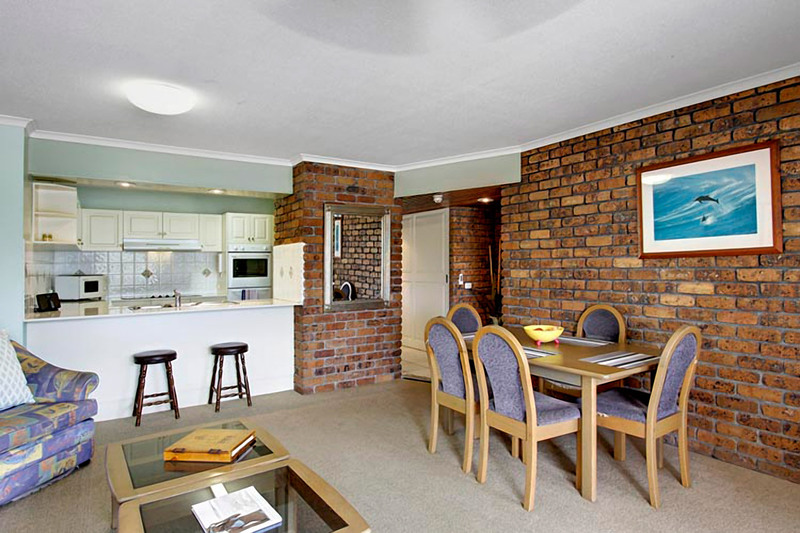 The open plan living and dining comes with a 6 seat dining setting, comfy couches and TV. 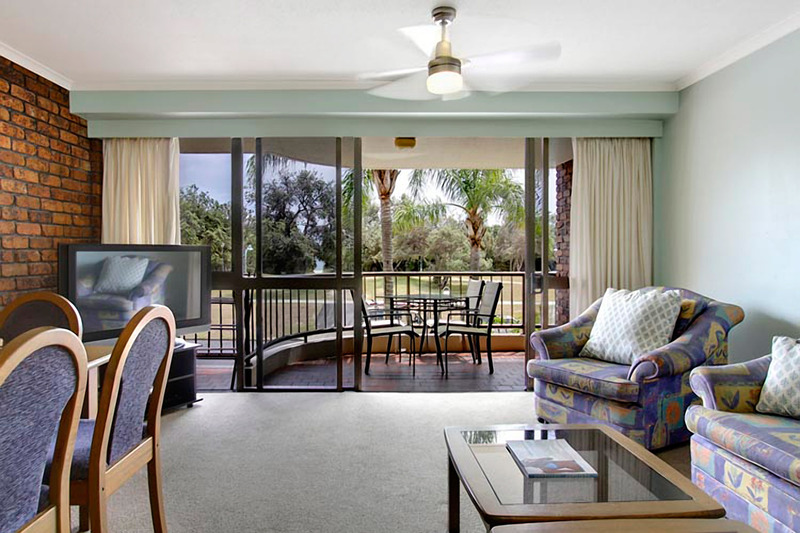 Walk through sliding doors from living area to covered balcony space. 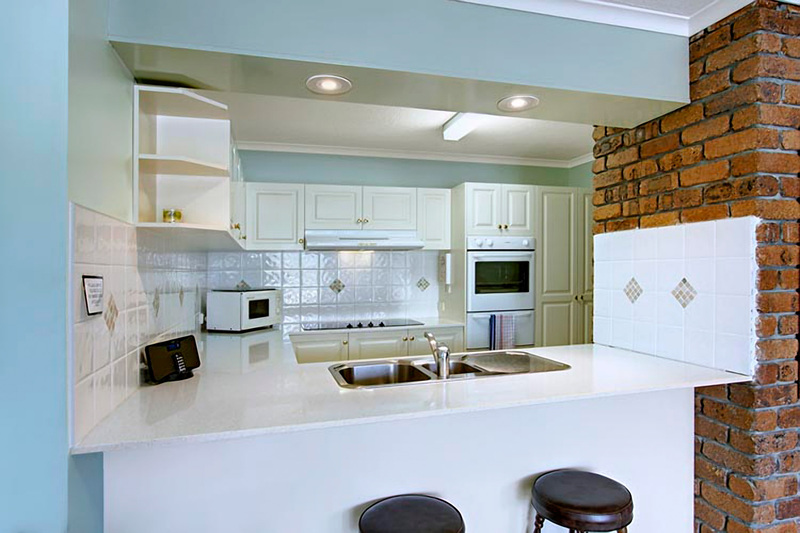 Pacific Blue’s fully functional kitchen is tucked in adjacent to the living and dining space and comes complete with breakfast bar dining for two. 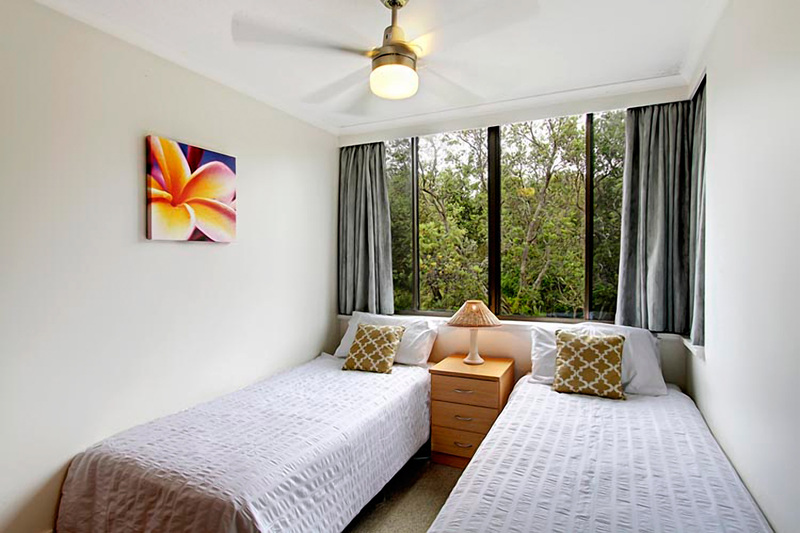 Sleep in light, breezy comfort with two bedrooms furnished in simple, modern linens, with views to the trees and park outside. 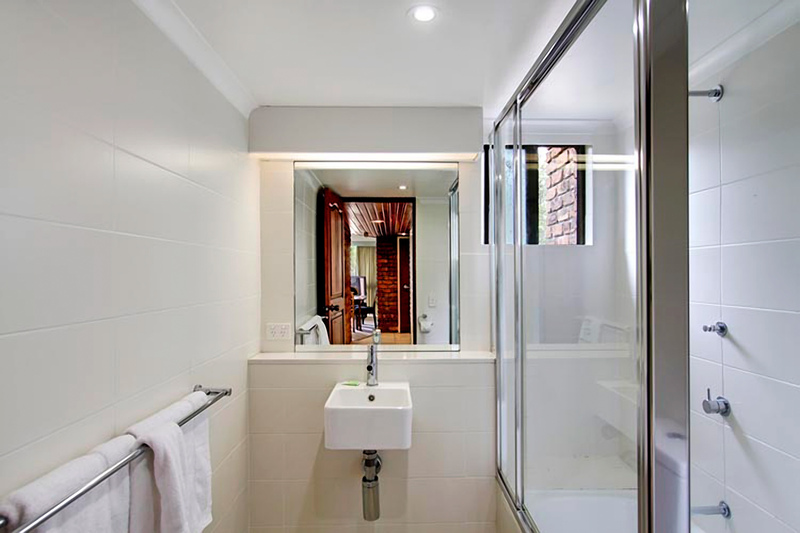 The apartments two modern bathrooms are simple and fresh, with white tiles and cabinetry. 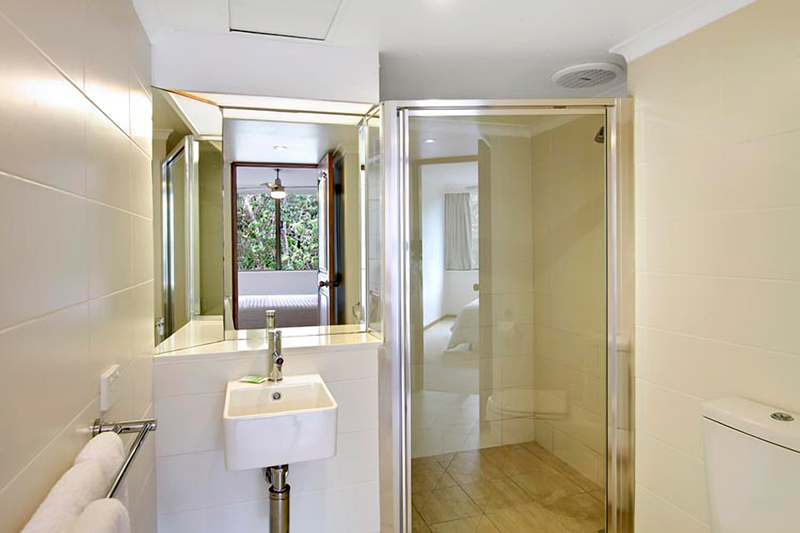 The ensuite features a generous shower and a toilet and the guest bathroom offers a shower, built-in bath and toilet. 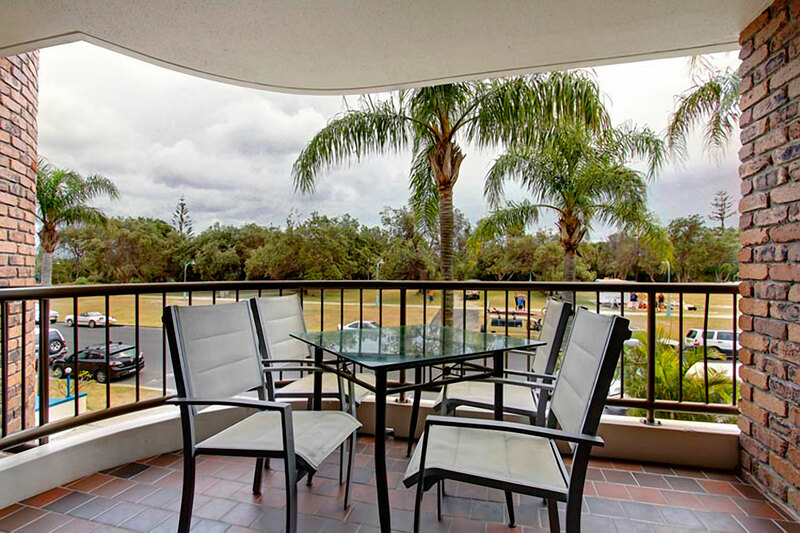 Enjoy afternoon drinks, early morning breakfast or your evening meal on the shady covered balcony, which comes with four seat outdoor dining setting and overlooks the green tree-lined park. 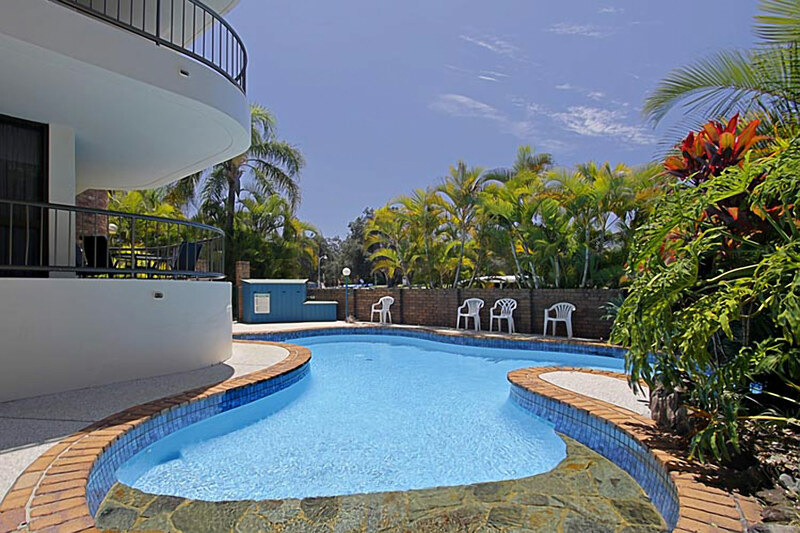 Cool off in summer and swim in the lovely, sun-soaked complex swimming pool. 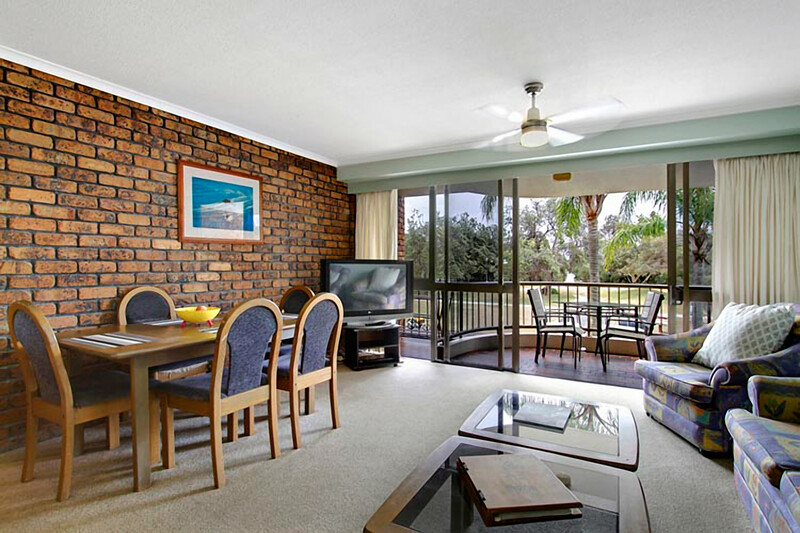 Pacific Blue is perfectly positioned, both close to the beach and town for the best of Byron Bay. 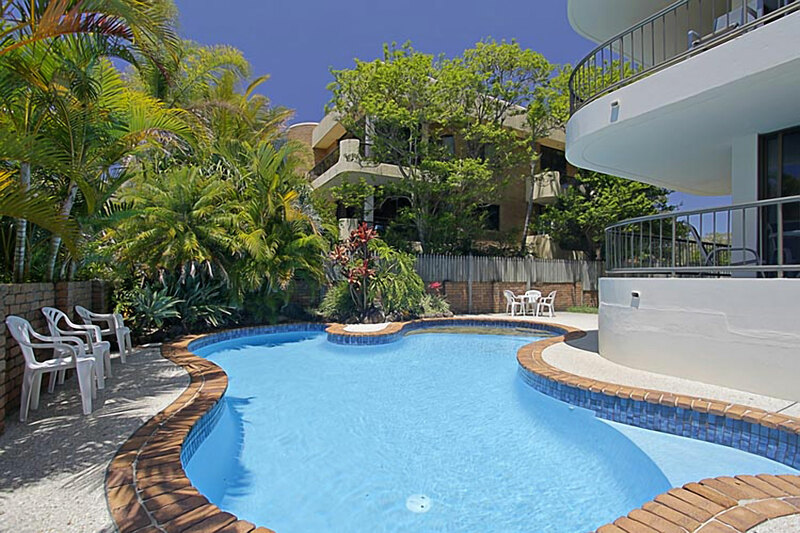 Directly opposite Clarkes Beach, guests can be swimming, surfing and frolicking at this safe Byron Bay beach within seconds. Enjoy a BBQ on the beach with free BBQ’s provided, dine in at world-class, beachfront restaurant, Beach Byron Bay or tackle the iconic Cape Byron walking track. 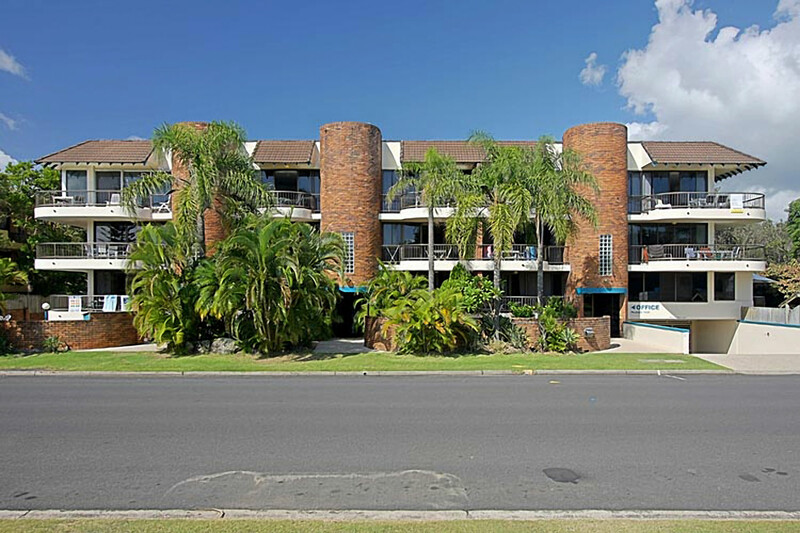 From this great location, a short 10 minute, beachfront stroll will see guests arrive in the centre of Byron Bay town. Strict no party policy - fees and eviction can apply for security call-outs. See terms and conditions for further information. No commercial activities or events permitted including but not limited to hens/bucks events, engagements or weddings. 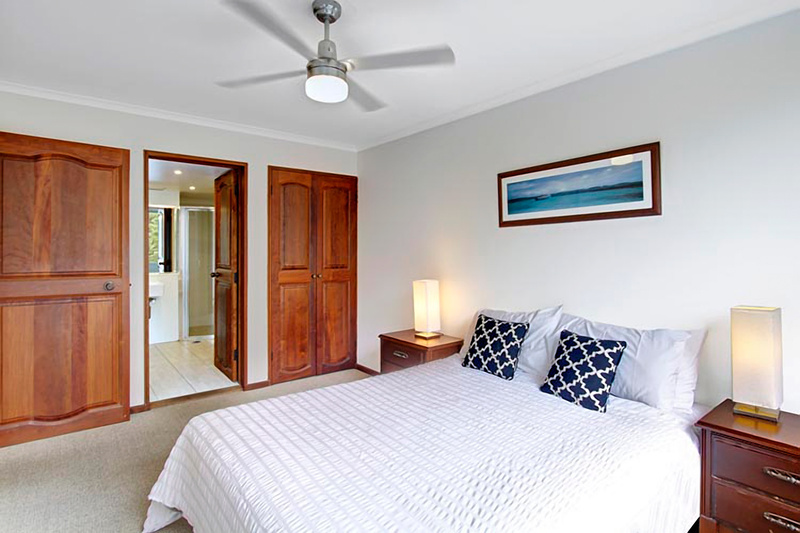 if dates include both Christmas Day and New Year's Eve a 12 night min stay applies, unless otherwise approved directly with the Byron Bay Holiday Rentals. We enjoyed walking to the Lighthouse each morning, strolling on beach and swimming in ocean, quick dip in pool to cool off, easy walk to shops, watching all beach activity from the balcony. 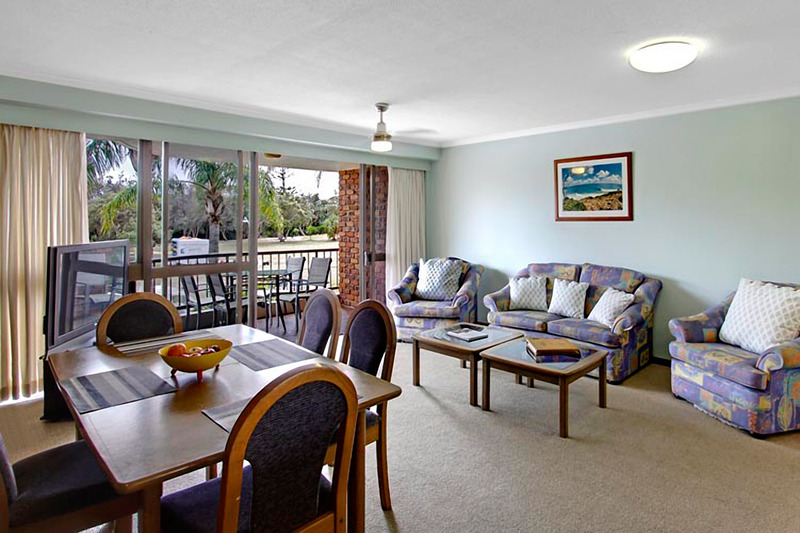 The apartment was clean, spacious and well equipped. We loved the peaceful aspect of bedrooms with only bird calls to wake us. Balcony and bbq at front were great but traffic noise was sometimes intrusive. We loved the location of our accommodation. Our favourite experience was being able to enjoy all the walking tracks just outside our door. The kids loved using their scooters on the walking tracks too. Great spot! It was awesome that the unit had staple pantry items like olive oil. That makes such a huge difference and reduces waste.